Lord and Lady Lucan. They look like an iconic 60s British couple, possibly even minor Royalty, with their photogenic looks and well-styled clothes. 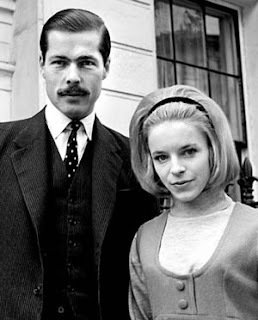 At one point Lord Lucan was offered a screen test for James Bond. Perhaps that is why Lady Lucan clearly finds it hard to let complete go of the glamorous dream which became a nightmare, just as some people struggle to accept that the apparent fairy tale of Charles and Diana should never have happened, and may even still sup from their Royal Wedding commemorative cup. Yet Veronica Lucan alone emerges from this tragic tale of financial ruin, madness and murder like a 20th Century Victorian heroine, against all the odds, her voice finally heard, to tell her story in full, 43 years after that fateful night. Some have passed judgement on her, saying she has 'just done it for the money'. I disagree. She has had 43 years in which to cash in on one of the most notorious crimes of the 20th century if that were the case. Why wait until she is an old lady and live so frugally and privately all this time when she could have been in clover? It seems more likely that she wants the world to know her side of the story before she dies. Plus she probably could do with a few quid for her twilight years. She may live in a small mews house in Belgravia, but you can't eat bricks and mortar, and she is apparently wholly reliant on her state pension. 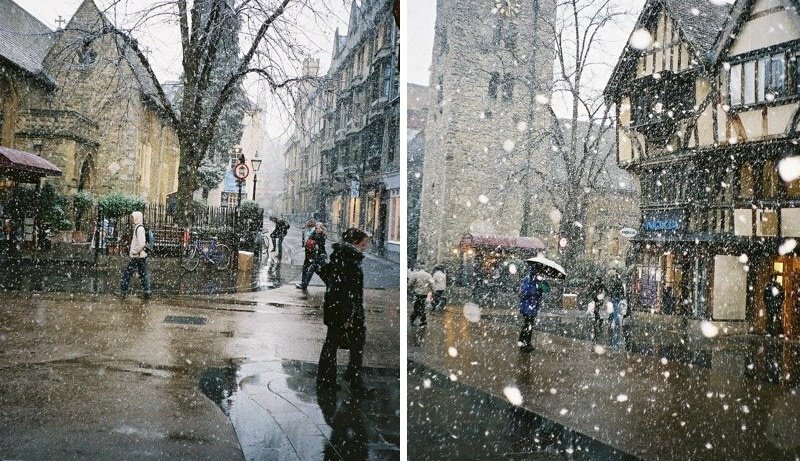 Some have accused her of being 'cold'. Again, I disagree. Not only is she a product of her class and times when the stiff upper lip and farming your children out to nannies was the norm for posh people, but she has necessarily had to build a high wall around her emotions over the years for the sake of her sanity and survival. 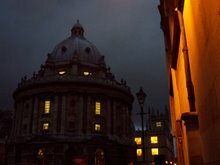 Her devastation is evidenced in the fact she still lives in her husband's former bolt hole, a stone's throw from the murder house, has never remarried or recommenced a career. She has battled brain injury from her husband's attack and entirely understandable depression from his psychological and physical abuse of her, even before his attempt to murder her. As if all this weren't bad enough, she was subsequently ganged up on by his friends and family who blamed her for 'driving him to it', (if they admitted he had anything to do with it at all - some tried to insist the crime was committed by an unknown intruder), by contesting him for custody of the children following their separation. She then saw her children eventually turned against her by the wealthy relations who offered to look after them for a while as Lady Lucan tried to come off her medications so that she has now not seen them for 35 years, never mind meeting her five grandchildren. As for being 'a bad mother' - was she ever given a chance and the right support following the tragedy to become a good one? And let's not forget this is a woman whose husband repeatedly tried to get her declared insane and committed to a mental institution as part of his psychological abuse of her in the years leading up to the crime, with the compromise that she at least agree to take the heavy medication prescribed by his doctor friends to regulate her anxiety and depression for her 'own good' and despite crippling side effects. Certainly she was a financially impoverished mother following the crime and not able to keep her three children in the style to which they had become accustomed, unlike her relations, who were. And every day. Every day she is haunted by the murder of her nanny, Sandra Rivett, a good and decent woman, who shouldn't have even been in the house on that fateful November night in 1974 were it not for the fact she had asked to switch evenings off in order to spend time with her new boyfriend and Lady Lucan had agreed. Lord Lucan, having watched the house for some weeks to observe the pattern of comings and goings had been floored by this and assumed the woman making tea in the kitchen - of similar height and build to his estranged wife in the gloom - was his wife. 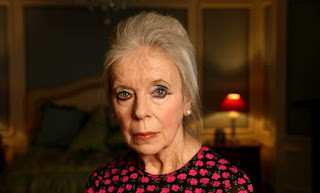 However his horror at realising his mistake once he had bludgeoned the nanny to death did not stop him trying to murder Lady Lucan in the same manner, and it is only by dint of her quick-wittedness, that she managed to distract his attention long enough to flee the house and summon help at the nearest pub, despite severe injuries. However, prior to her escape, he was confident enough of the fact she wouldn't live to tell the tale to admit to her that he had killed the nanny. I didn't know what to expect when I watched the ITV television interview with Lady Lucan last night but I found myself transfixed by her elegance, her grace, her unflinching honesty and her unfashionable lack of self-pity. 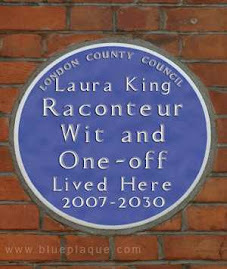 There was even a little flash of humour here and there, hints of the sparkling woman she could have been. Even more impressive was her absence of hatred towards all those who had conspired to control her, badmouth her, kill her and finally desert her during her adult life. Ultimately as she admitted, all she had wanted was to have a family who loved her and whom she loved. Yet, this simple wish shared by so many, turned out to be an impossible dream which eluded her. She is a woman who was unlucky in love, and all the other bad things in her life emanated from that simple fact. But like many abused wives, presumably she always lived in hope that Lord Lucan would change, just as he undoubtedly always hoped for that 'big win' which would set him up for life. 'Lucky' Lucan, it turned out, was an ironic nickname as he was never that lucky after his beginner's luck ran out and he subsequently fell under the thrall of John Aspinall and the Claremont Club. Aspinall is said to be the key to the whole mystery of what happened to Lord Lucan, but Aspinall died in 2000 taking any secrets to the grave. And though Lady Lucan knew Lord Lucan (aka John Bingham) best of all, her theory of what happened to her fugitive husband (she believes he committed suicide by throwing himself onto the propellors of a cross-channel ferry from Newhaven, shortly after the attack) is not even in the top three. What seems remarkable is that there are still people out there who continue to avow Lord Lucan's innocence of the crime or make excuses for him. As if a blue-blood can do no wrong or should not be expected to live by the same rules as everyone else. Many individuals face financial ruin through gambling addictions and other ill luck, but they don't go around killing people. Nor had Lady Lucan obstructed his access to the children following their separation to offer any justification for his unconscionable rage. If anything she still loved the idiot and hoped for an eventual reconciliation. Lady Lucan may not be perfect (she freely admitted she often verbally retaliated quite cruelly herself when her husband provoked her or stayed in bed all day when she was depressed) but what she gave in her television interview was a masterclass in human dignity and survival against the odds. So let's hear no more of this 'victim blaming'. If it's not acceptable to blame any other victim of domestic violence for their fate, why should it be acceptable in Lady Lucan's case, just because she is well spoken?